Heavy-Duty Gullwing Folding Drying Rack Just $19.99! Down From $45! You are here: Home / Instagram / Heavy-Duty Gullwing Folding Drying Rack Just $19.99! Down From $45! Until August 5 only! Hurry over to Staples where you can score this Heavy-Duty Gullwing Folding Drying Rack for just $19.99 down from 44.99! The Honey Can Do space-saving unit offers an amazing 46-linear feet of drying area when fully assembled and folds down to 3-inches flat for easy storage when not in use. 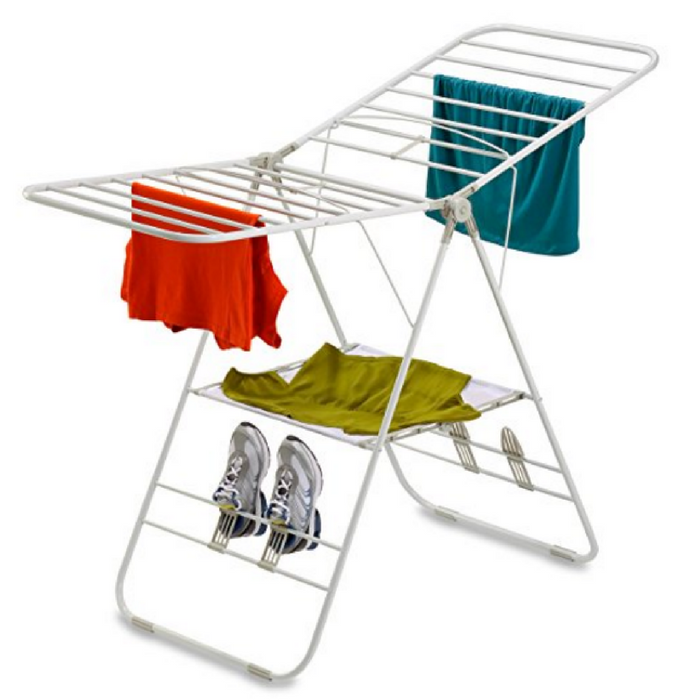 This white folding drying rack comes designed with 4 sections that move around. Each one has dividers that let you hang clothes/shoes and other laundry through to dry. If you are looking for a way to maximize energy efficiency, you can use a drying rack.